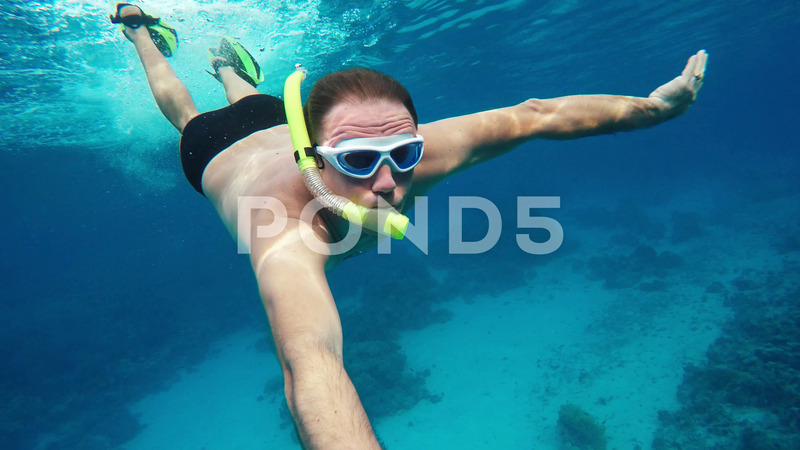 Description: Tourist male are dives in the sea, snorkeling and diving in the clear water of the sunny exotic underwater world. Romantic sea trip. Adventure, travel, tourism and recreation. Happy memories of vacation holidays.